Motivation Monday | Choose one success technique and master it! Years ago my favorite past time was to visit my local library or book store in search of the next motivational, self help book that would have the key to all of my desires. The problem is that I pretty much jumped from one book to the next without putting much practice into the lessons I learned. Things moved in my life but not at the pace that I wanted. Then one day I stumbled upon an old interview of the late Phyllis Diller where she talked about taking on the principles of the Magic of Believing and applying it to her life. She studied the book for two years. Reading and reading it daily, underlining the most important aspects and PRACTICING the techniques over and over again in her daily life until she mastered them. Tony Robbins talks about doing his incantations every day know matter how much he's success he's achieved. Incantations are similar to affirmations only he practices them with high levels of intense emotion. Decades after he's achieved everything he's ever wanted, he still practices that one technique that has brought him all of his success. + Writing & rewriting down my goals each day. + Visualizing goals each day. + Practice The Slight Edge Principle. + Pray, meditate and study the Bible daily. + Study one self help book for the year (practice the principles over and over). I can go on but I'll keep this list short for the sake of brevity and focus. 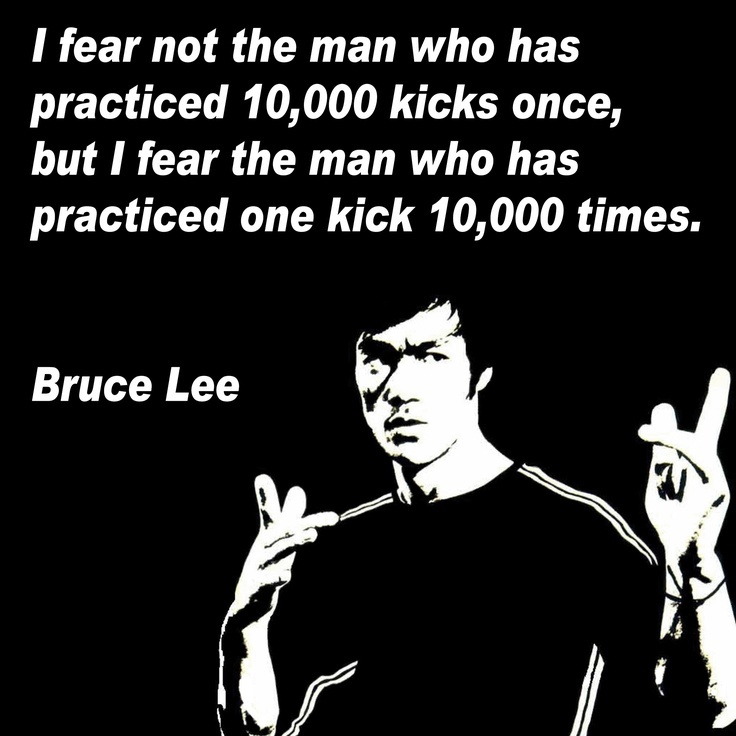 Let's not be like the guy who's practiced 10,000 kicks once. This person has no power. But the person who has one or two moves that they've practiced over and over again, to the point of mastery is able to accomplish anything. Which technique do you plan on mastering in 2015? The problem with this mindset is that you’re teaching yourself to always put happiness and success off until the next milestone is achieved. We place unnecessary stress on ourselves to lose weight or to succeed in business or to write a best-selling novel. Instead, you can keep things simple and reduce stress by focusing on the daily process and sticking to your schedule, rather than worrying about the big, life-changing goals. Systems-based thinking is never about hitting a particular number, it’s about sticking to the process and not missing a beat. Goals can provide direction and even push you forward in the short-term, but eventually a well-designed system will always win.